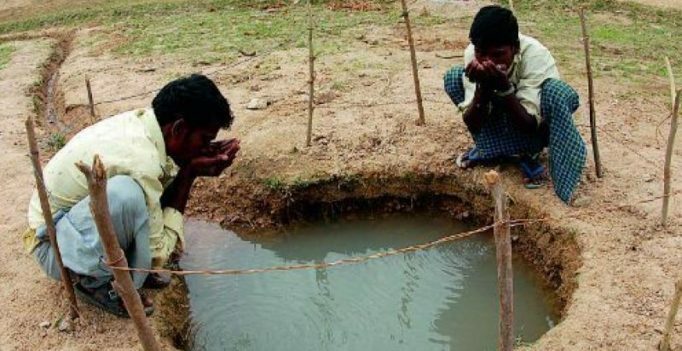 Bengaluru: The latest report of the Central Ground Water Board says ground water level has declined in most states in the period between the pre- monsoon months of 2015 and the pre-monsoon months this year. Also, the water has more chemical content than permissible. Referring to Karnataka, the report that was released recently, says it has very shallow ground water in about 5 per cent of the wells monitored. In general, the water level is in the range of 2-20 m BGL in almost 93 per cent of the wells monitored. In Bengaluru district, the ground water was between 5-10 BGL, showing a decline since the 2015 pre-monsoon period. The reports says there was rise in water level in about 21 per cent of the wells and a fall in about 72 per cent. Chemical content in ground water was beyond BIS norms in Bengaluru district. It had above 1.5 mg/l fluoride, over 45 mg/l nitrate content and over 1.0mg/l iron.